Spring is here and that means strawberry season has finally arrived. 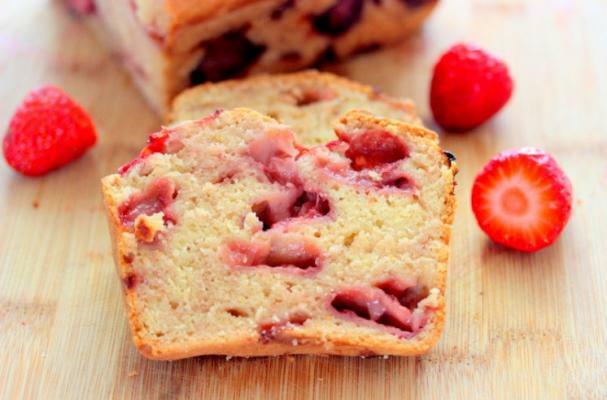 This gluten-free strawberry loaf cake from Savy Naturalista is a delicious wheat-free treat that highlights this spring berry. Instead of all purpose flour, this recipe uses a blend of gluten-free flours to create a flour with a similar texture and consistency of all-purpose. The bread contains two cups of strawberries so that you get a piece of fruit in each bite. You can add a lemon glaze for an extra layer of sweetness. For full recipe instructions, click here.